Wouldn’t it be helpful if there was a rule book for writers when it comes to submitting their work, especially for the newbies just joining the club? Like many writers and bloggers, I was very naive to the proper etiquette of submitting my work when I first began throwing my hat into the ring. I know that I made several mistakes along the way, having never been on the editing side of the table. Now that I’ve had the distinct honor to serve as assistant editor for Sammiches and Psych Meds, I know what editors experience in ensuring their sites reflect the best writing possible. While we are incredibly thankful for the submissions we receive, there are certain guidelines that you, as writers, can follow to establish and maintain a positive working relationship with those on the deciding end of whether your work is accepted or not. Here are some basic “Dos” and “Don’ts” of submitting your work to an editor. 1. Do read through the site you are submitting to, particularly the types of posts they feature and their submission requirements. Some sites have post length restrictions. Some use Submittable; others require you email the editor directly. For example, The Good Men Project’s submission requirements are more extensive than other sites. I am glad I took the time to read them and understand them, as they were a “bucket list” site for me, and my piece would not have been featured had I not been diligent when submitting. 2. Do feel you can follow up with an editor regarding your post. If you have not heard from him or her about an acceptance or rejection, it is appropriate to contact the editor after you’ve read the submission guidelines. Many sites, such as Scary Mommy, state a policy whereby if you do not receive a response within a certain timeframe, that your piece was not accepted and you are free to submit elsewhere. Other sites, such as Sammiches and Psych Meds, reply either way, so if the timeframe specified on the site has passed, feel free to follow up. 3. Therefore, (regarding #2), don’t email the editor three days after submitting to inquire about your post. 4. Do feel you can contact an editor with questions, such as how many page views your piece received, when payment will be sent, etc. However, to repeat a previous point, read the site first. Often your question may already answered per the site’s guidelines, such as “Page views may be requested after 30 days”, etc. 4. Do add hyperlinks for your social media accounts. Editors want your work and we want to support your blogs and social media, but just adding your Facebook page title means we need to find it on Facebook, copy the hyperlink, and then add it to your post. If you simply include your hyperlinks in your submission, you’ve saved us a bit of time. 5. Editors and writers fall on both sides of the fence with regards to submitting a piece to multiple sites at the same time. I personally submit a piece to one editor and wait on acceptance or rejection before going elsewhere. If you do send your piece to more than one place, please follow this simple rule. If it is accepted, withdraw it immediately from all other sites you’ve submitted it to. If you do not, chances are, an editor will pull up your piece and spend time reviewing and editing it, when it is no longer available. 6. Don’t submit a piece until you’re satisfied with final edits. If an editor has spent time on your submission, and then accepts it, that should be your completed piece. A small change such as a title edit, is minimal. What may irk an editor is if you respond to his or her acceptance with, “Oh, I have a bunch of edits to make!” after he or she has finalized your piece on the site. 7. Don’t give up on a site if you’ve been rejected. There are many possible reasons your previous piece was not a good fit, such as the topic had already been covered, or the site was overloaded with serious pieces and needed more humor. However, with that said, if you have been rejected multiple consecutive times with no acceptances, take some time to review the site again. Spend some time reading some popular posts to get an accurate feel for what they are looking for. 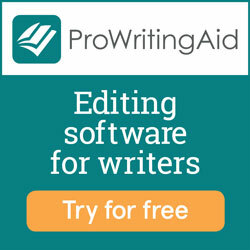 If you have the editor’s contact information, ask for feedback on how you can improve. 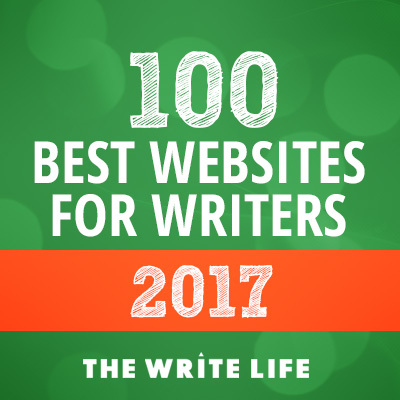 Talk to other writers who have been featured on the site to compare your submission process to theirs. 8. Do promote your pieces once they are published! This helps your name, your writing, and helps the site as well. Promotion benefits everyone, so brag away and share your links! Before I joined the writing and blogging world, I had no idea who editors actually were. I assumed they were all like Arianna Huffington, sitting up in a 20th floor office in Manhattan. Although you should definitely follow her submission guidelines as well, The truth is, many of us are stay-at-home moms with babies and toddlers clinging to our ankles. Some of us work full-time jobs outside the site you are submitting to. We may work through submissions at 11:00 at night after our families are asleep. Many of us do this for free or very little pay. Our job is to fairly review your writing, which we love doing, and we are honored to receive it. Your job is to streamline the editing process for us to make our job more efficient. Following these dos and don’ts will help you do just that!